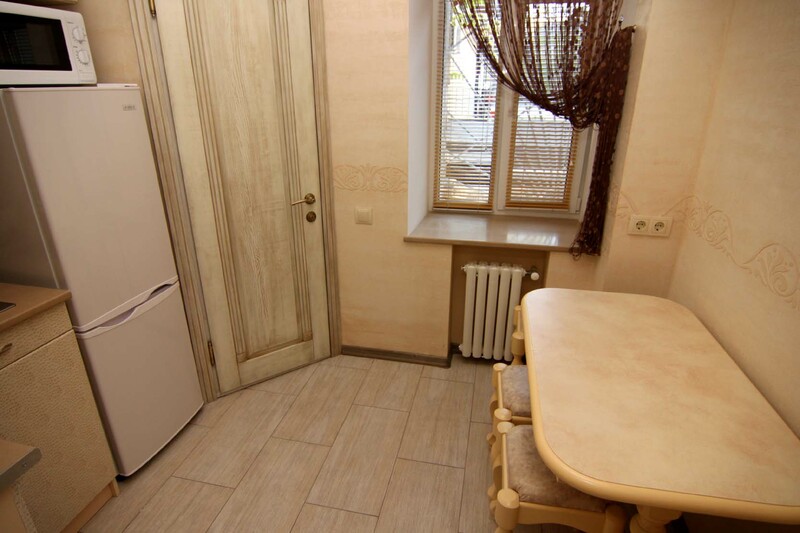 Two room apartment for rent on Frecheskaya street, Odessa Ukraine. 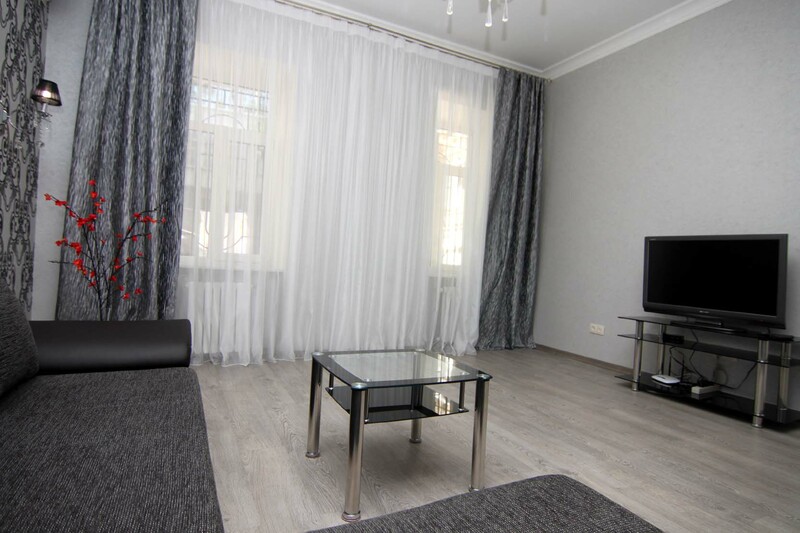 Fancy 2 room apartment for short term rent, with the best location close to all Odessa attractions! 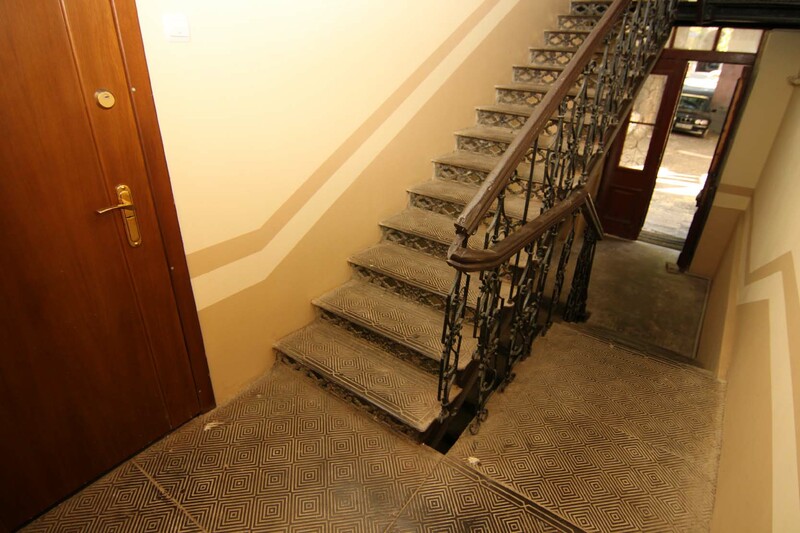 Spectacular 2 rooms/1 bedroom rental on the ground floor of historically important building. Apartment slleps up to 2 couples, has just been fully renovated and equipped with new furniture and brand new consumer electronics. 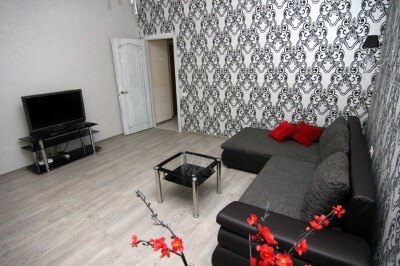 Living area 25 sq.m. with fold out angular couch, LED 32' TV, conditioner, wi fi Internet. 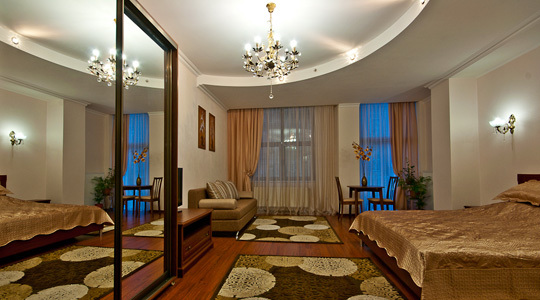 Bedroom with king-size bed, bed side table, wardrobe, mirror. 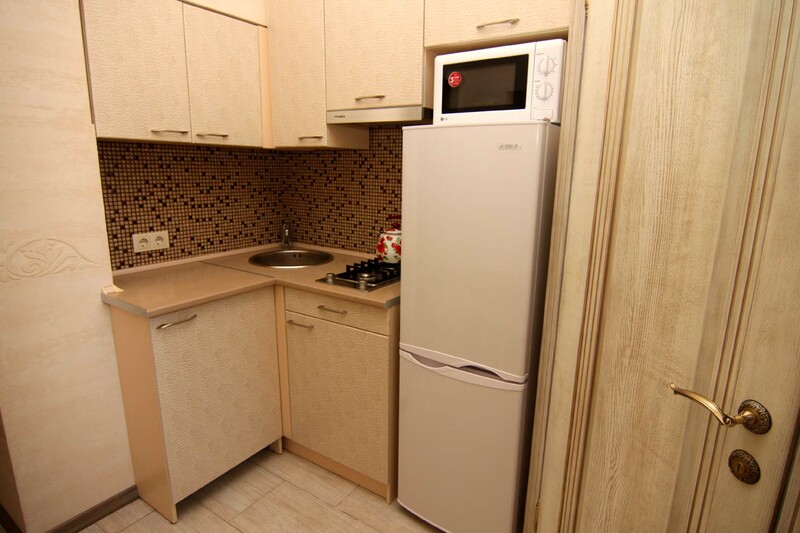 Kitchen equipped cutlery, plates and other kitchen utensils. 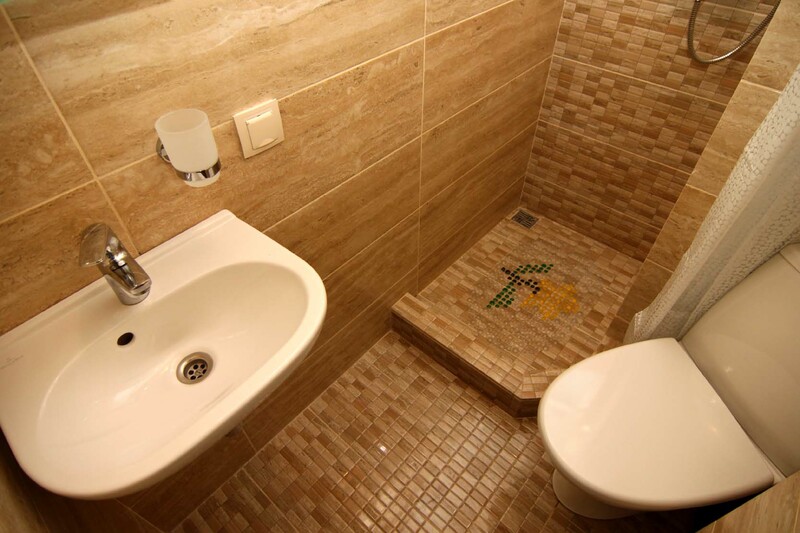 Bathroom combines walk-in shower, wash basin and toilet. 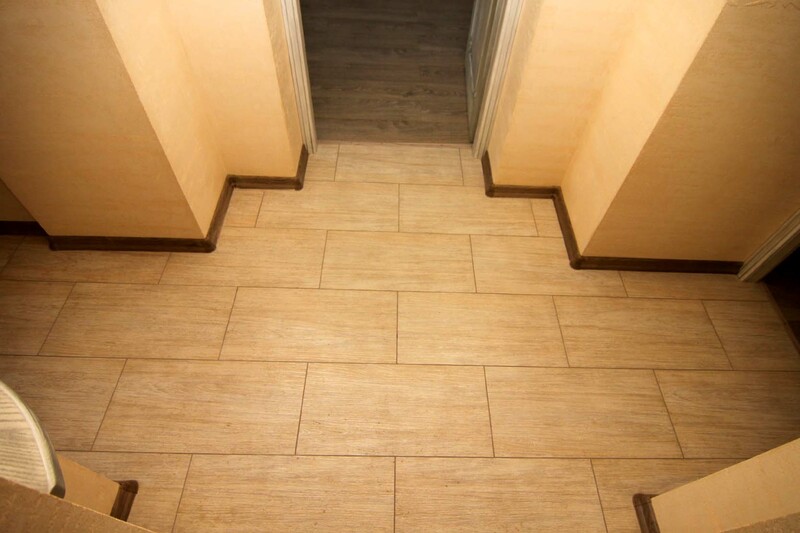 Apartment for non-smokers. 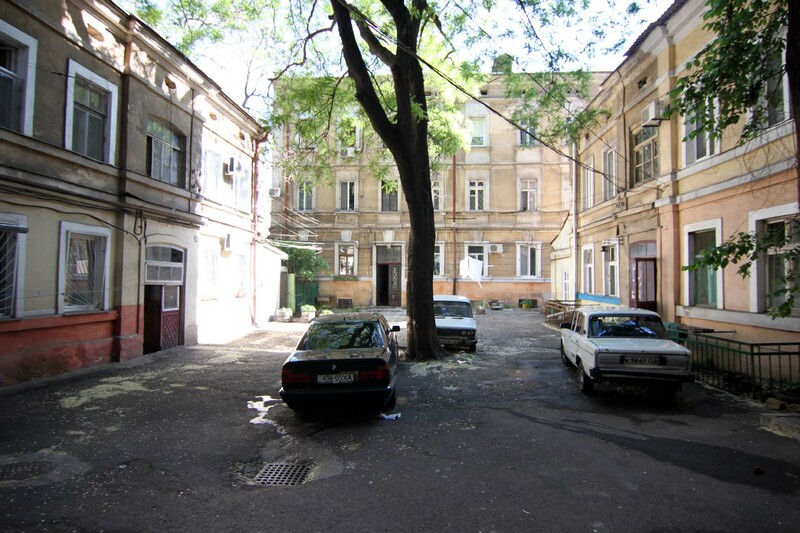 Parking is available on the street in front of the building.